Hello! And welcome to the first Furry Friend Friday! 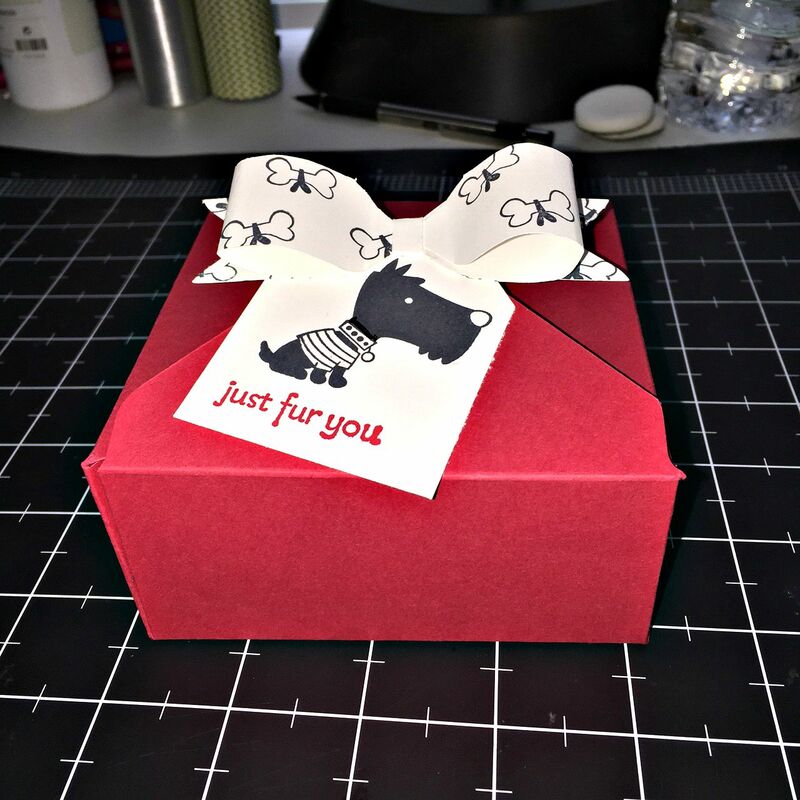 Today, we'll be using two phenomenal tools to make the CUTEST gift box for that special furry friend in your life. Big news! I have a VIDEO for you today! I'm sorry it's so long. I'm still very new to iMovie and am still getting the hang of editing. 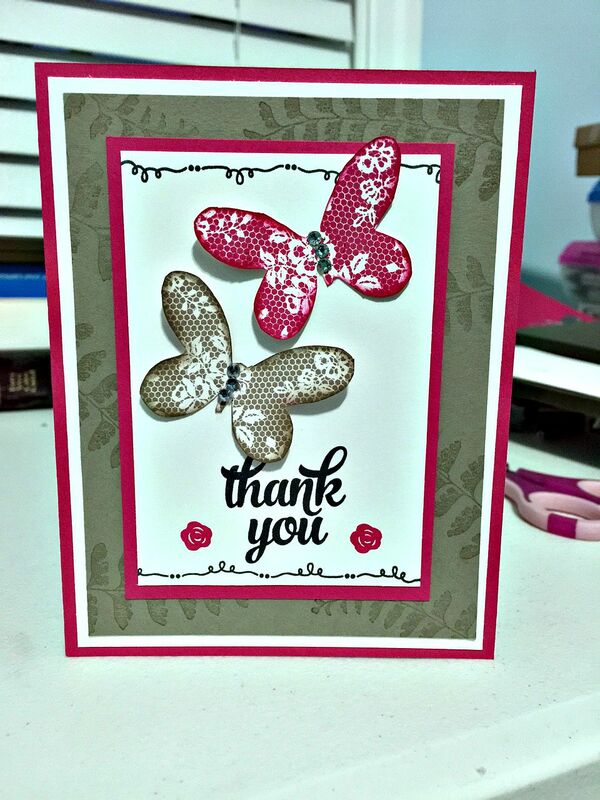 Here is the project we're making today - a card featuring the Stampin' UpButterfly Basics stamp set (my favorite!). If you don't own this set, you might want to check it out. The images are just beautiful. I also used the Tin of Cards and Floral Wings stamp sets as well. 1 piece 4" x 5 1/4"
Awhile back, Paper Pumpkin had a great promotion for new subscribers. I was so disappointed that I did not join before it ended. Well guess what? They're doing it AGAIN! That means, until September 10th/2015, all new subscribers will get two months at HALF OFF! I am definitely going to subscribe and I hope you all will consider joining me. The kits are so fun and who wouldn't love getting a package each month? I know I LOVE happy mail!! Then I have something super awesome for YOU! 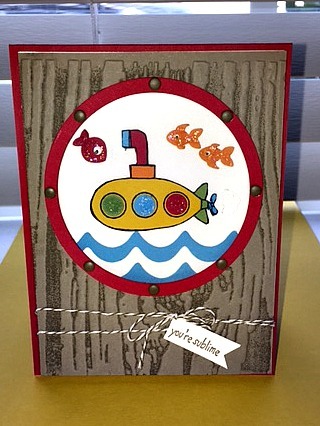 I just ordered this amazing Stampin' Up Watercolor Wishes Card kit. 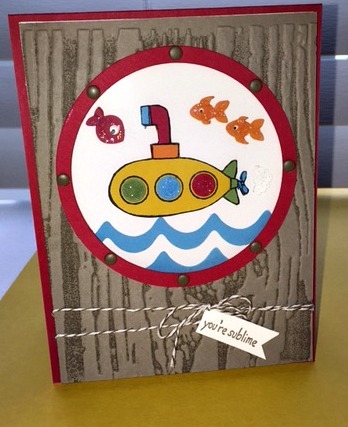 It has everything you need to make TWENTY fabulous cards! (including envelopes and instructions). But even though the instructions are included, I thought it would be super fun to make these cards on video. That way it will feel as if we are crafting together! 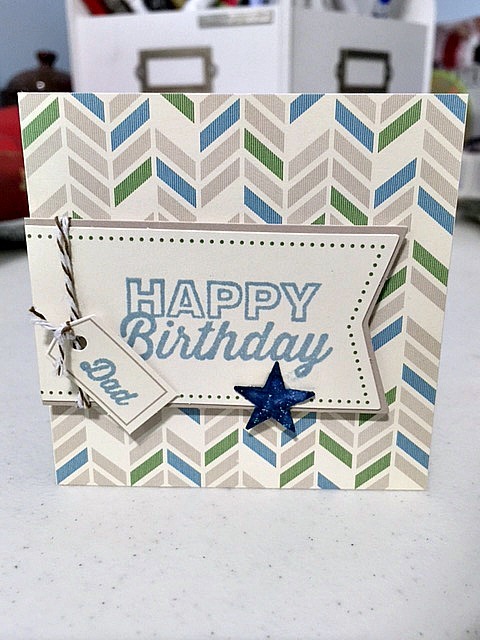 So, if you're new to crafting - or just love making cards - maybe you would like to join me! This kit has been VERY popular, so if you think you might like to play along, please don't wait. You can place your order by clicking on the picture below. 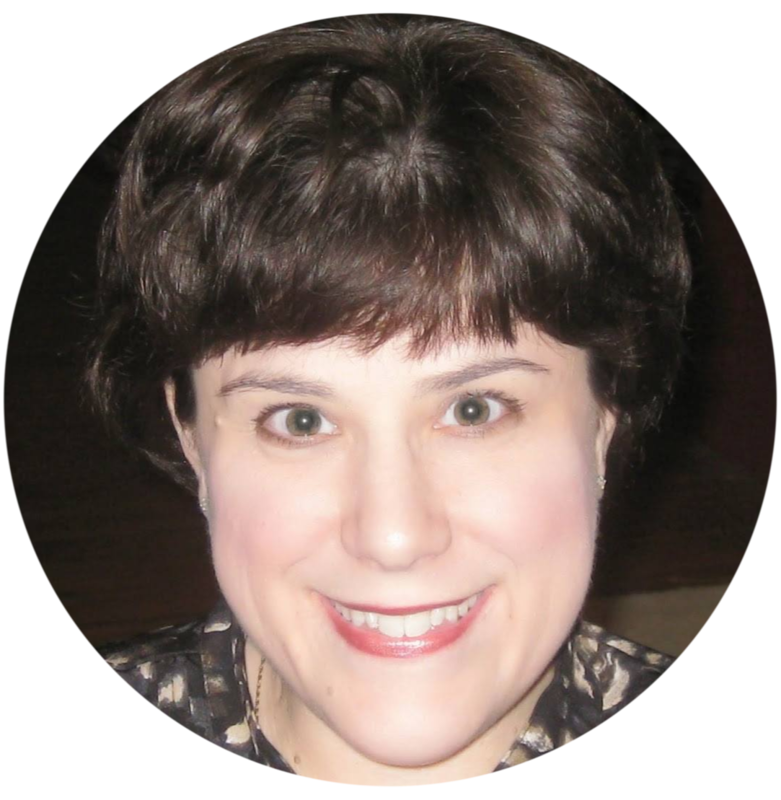 I'll also be announcing shortly a fun weekly segment that I will be adding to my blog. Can't wait to share that with you. It's Tuesday! And you know what that means! 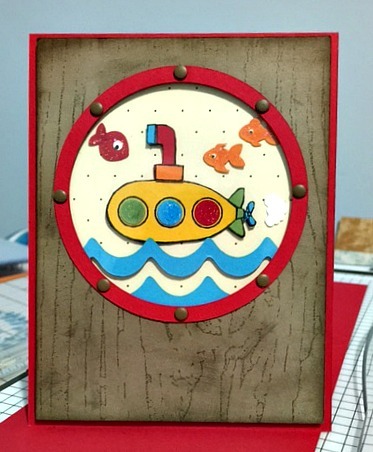 New Stampin' Up weekly deals! I can't believe the Color Me Irresistible Paper is on sale! I ordered some first thing this morning. This stuff is so amazing. Add your favorite ink or colored mist to it and watch the effect you get! You will love it! And it comes in 12x12! And I JUST got an order with the Pretty Petals paper in it (6x6). It's now on sale too. Beautiful patterns!! I have a confession to make. I struggle a lot with my own imperfections. Especially when it comes to crafting. Do any of you feel that way sometimes? I look at projects on Pinterest or in magazines and the work there is always so beautiful. I never, ever feel like anything I make measures up. I think in some ways, that's a side effect of the world we live in today. For example, if you look at the top five posters on your Facebook page, you'll see them sharing about all the wonderful things going on in their lives. Rarely do you hear about the mundane. And so, starting today, my goal is to embrace those imperfections. I want to share my work. The good and the not so good. The projects I'm proud of - and maybe those that I don't like quite as much. Because in every crafting journey, I realize I'm learning something along the way. **My thoughts: If I had it to do over, I would simply add the twine and sentiment to my first attempt. For the first card, I inked one side of my embossing folder, but I did not run it through my machine. The second card I actually embossed the cardstock with the ink on it. Same supplies but two different looks. Hello! Just a quick reminder that if you would like to get in on the Paper Pumpkin Kit for July, the deadline is tomorrow to sign up. When I joined Stampin' Up as a demonstrator, they sent me a past kit as part of the welcome package. In it, there were lots of supplies to make several cards. Here are a couple I made so you can see the kinds of things you can make with these great kits! The directions are included, but feel free to change it up a little and add your own creativity to it! **The star on the little card was not part of the kit. I just happened to touch the stamped sentiment before it had time to dry. Whoops! Have a great weekend everyone! I'll be back soon (hopefully with some videos if I can figure out iMovie! lol). 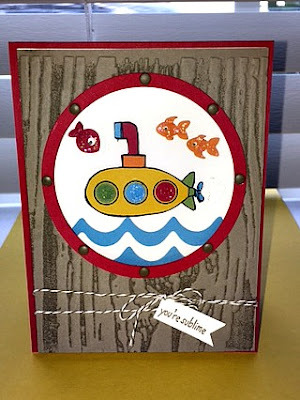 Here are this week's specials with Stampin' Up! Just a reminder - these items are in limited quantity, so if you see something you like, please don't wait! 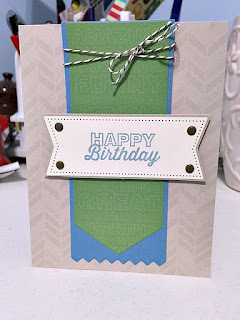 Isn't that tag topper punch CUTE? I just love it!! And how about that hamburger box die? That would make SUCH a cute gift box! Clicking on any image will take you to my shopping page. And while you're there, be sure to check out the clearance rack for more products at GREAT prices!